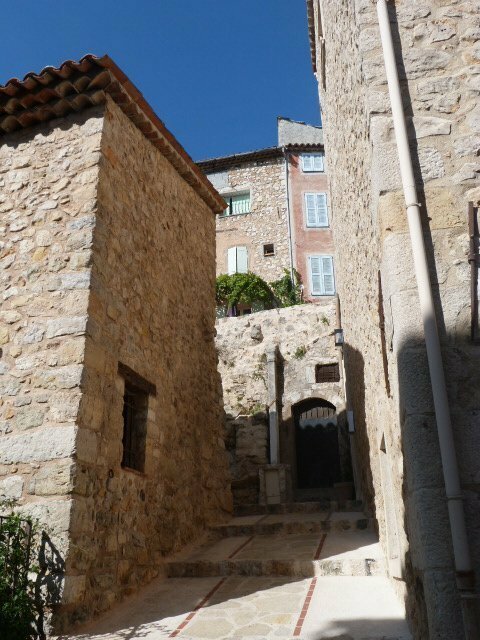 The Alpes-Maritimes department is bursting with a multitude of pretty hill villages, called “villages perchés“ in French, built during the middle ages in strategic spots on mountain tops and hill sides. 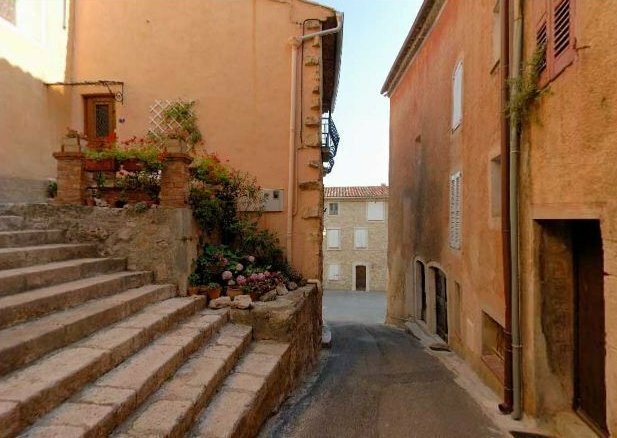 There are at least 15 within half an hour’s drive of Lou Messugo, all with their own charm and more or less renovated/developed for tourists or left in an authentic untouched state. But there is one so close and yet so hidden that many people visiting the area wouldn’t even realise it exists. (I’d be prepared to bet a significant amount of local residents don’t realise there’s a medieval “perched” bit either). 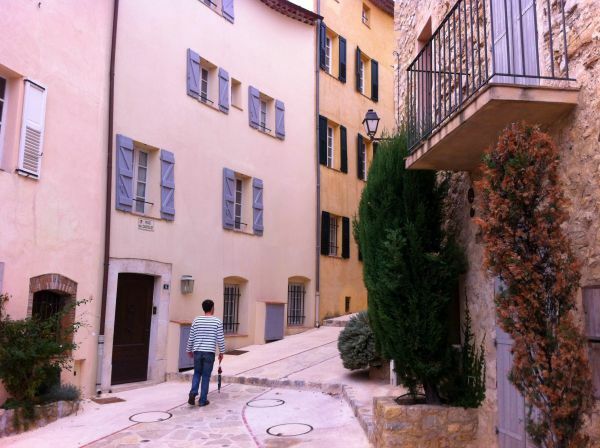 I’m talking about the village of Châteauneuf de Grasse on the outskirts of its famous neighbour, Grasse. 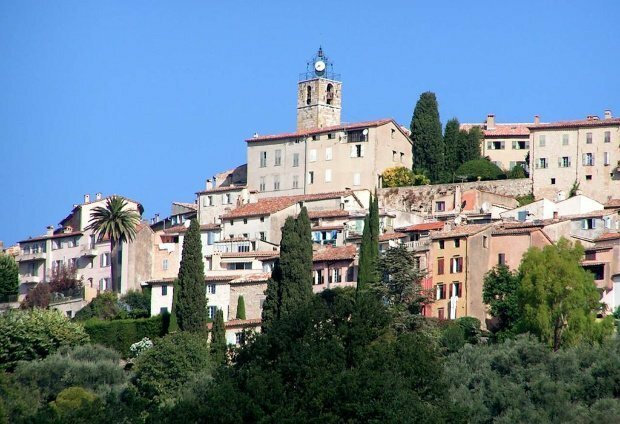 Viewing it from the south it looks obvious but it’s easy to miss the old centre as you drive through the modern strip of shops and cafés along the main road from Nice to Grasse. It just seems like a nothing kind of place, but tucked away on a hill side facing the coast and completely hidden from the road is one of the loveliest hill villages around. It’s only tiny, but it has a real charm; it’s like stepping back in time to a simpler era. 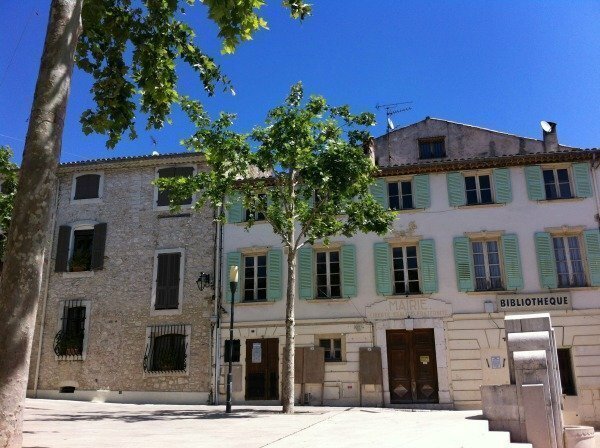 It is almost totally devoid of shops, there are no commercial buildings of any sort, no cafés, nothing except a couple of municipal buildings – the Mairie and Mediathèque (in old buildings of course) – and well kept houses in empty alleyways. 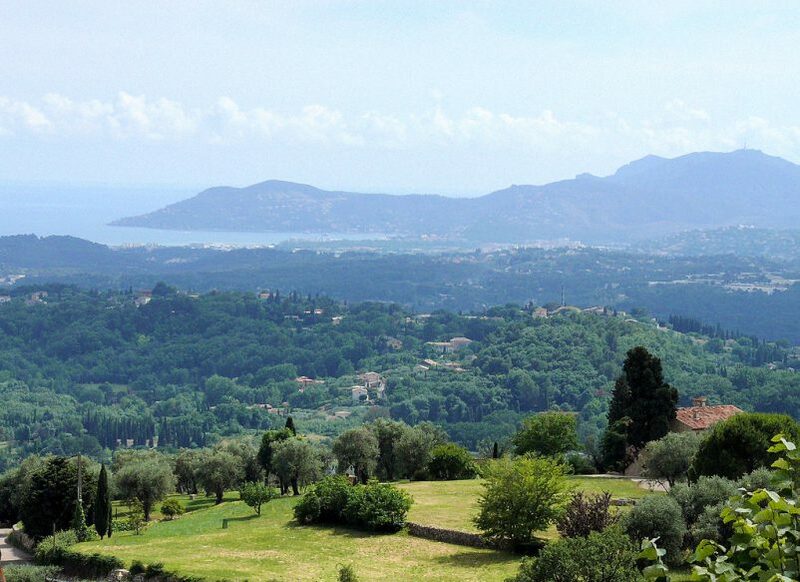 The views over the plain to the bay of Cannes and the Estérel mountains are just gorgeous, especially at sunset. You can wander around the village for half an hour and not bump into anyone at all. I first discovered Châteauneuf a few years ago when the primary school organised an “Olympiad” sports competition to coincide with the 2008 Olympic games. My elder son was the right age at the right time to be picked for the Roquefort team so we spent three very hot days cheering him on. The sports fields were off the main road up the hill in the old part of town, an unlikely a setting as you can imagine. With a dozen nearby schools taking part, the parking was hell; you really had to be able to squeeze into the smallest of spaces on a 30% angled slope, not one of my specialities! So that was the beginning of my interest our nearest hill village, and our nearest Châteauneuf. The name Châteauneuf means “new castle” and is a popular name for a town. 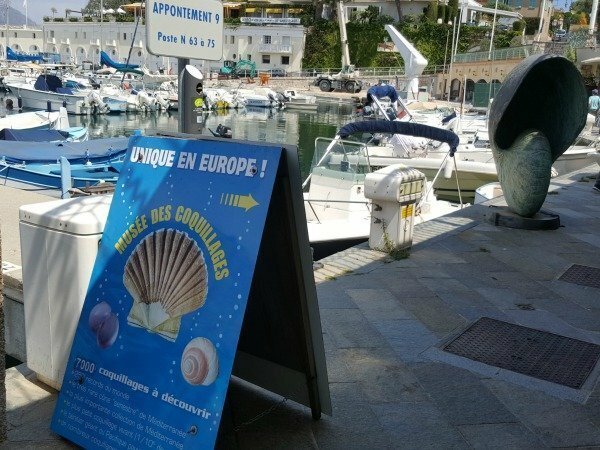 There are 32 in total in France, spread all over the country from Brittany in the west to Provence in the south. Dating back a thousand years, all these “new” castles are built in strategic sites noted for their defensive features: by the sea, high in the mountains, next to rivers, on promontories etc. They were nearly always the seat of a noble family bringing great wealth and leaving an interesting historical legacy. 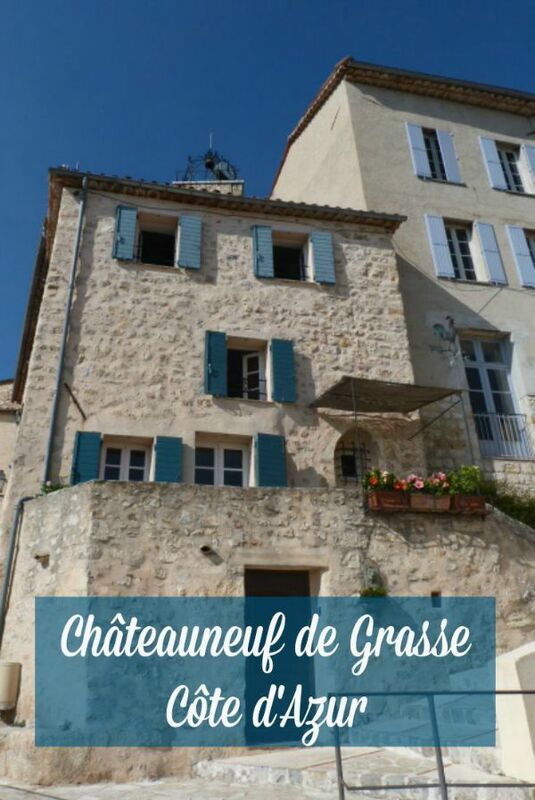 This particular Châteauneuf was founded in the 12th century by the Lords of Opio and has been fought over, burnt down and rebuilt over the centuries. Nowadays the castle (really a large house but called a castle owing to the fact that it was built on the site of an iron age fort) belongs to the Marquis du Rouret (didn’t the French abolish their aristocracy in the Revolution?) The King of Belgium, Albert II, also owns property there. He bought a village house as a holiday home before becoming King but once he was crowned he had to buy the houses on either side for security and staff, so you could say he has three houses in the village. Pretty modest stuff for a royal family even so. 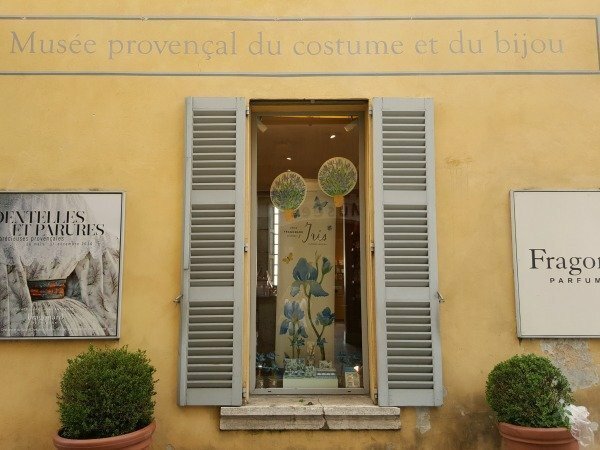 In keeping with the bygone feel of the place, the last time I went for a wander around Châteauneuf I came across two people dressed in ranger uniforms, one with a leather sleeve over his arm. They were whistling and searching the sky above them so out of curiosity I asked what they were doing. It turned out they were calling their falcon which they were using to get rid of pigeons. They were employees of the Châteauneuf town hall, “fonctionnaires“, fully paid up to stand around while one bird of prey circled the roofs scaring off the odd pigeon. It struck me as a wonderfully old-fashioned method of pest control but monumentally inefficient! At least it was ecological I guess. You may be interested to read tips on how to make visiting hill villages with children fun, which I have also written about. 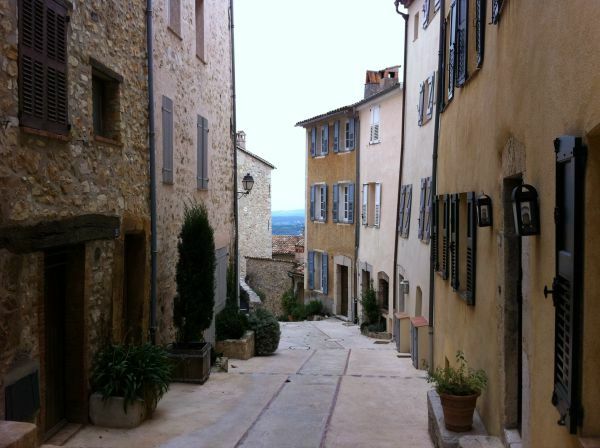 Have you been to any perched villages? Do you have a favourite? I’d love to hear from you. NextCafé Gourmand – love or hate? What a lovely commentary! Think that you have summed up the perched village and its location most succinctly. It really is a very beautiful village that deserves a visit. If your photos were of food I’d call them mouth-watering. 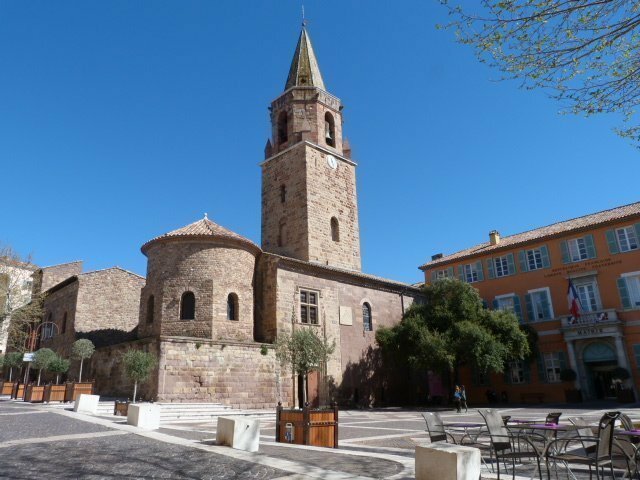 I’ll be spending some time in France this spring and summer, in the Languedoc-Roussillon region, which is not far from where you are, and I’m looking forward to it. By all appearances, you’ve made yourself a lovely life in France.